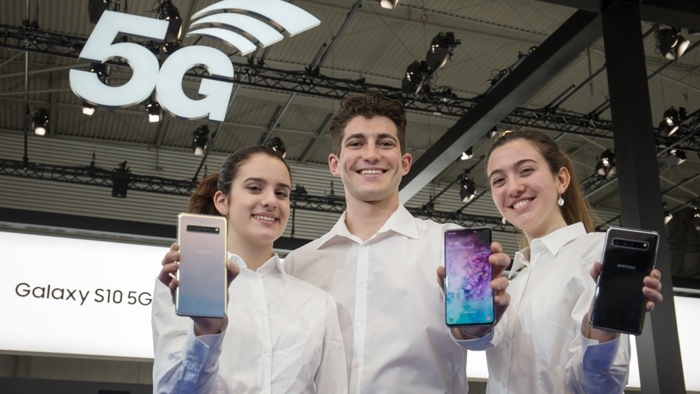 Samsung announced four new smartphones at its press conference last month, three are available to buy, the fourth, the Galaxy S10 5G has yet to go on sale. According to a recent report the Samsung Galaxy S10 5G could go on sale in the next few weeks, the device will launch in South Korea and the US at the same time. The Galaxy S10 5G will be launching with Verizon Wireless in the US, the handset will be exclusive to Verizon and it will apparently be made available on the 11th of April. We previously heard a rumor that it would be coming to Sprint in the Summer, so Verizon may have the exclusive until then. As a reminder the Galaxy S10 5G will come with a 6.7 inch AMOLED display with a Quad HD+ resolution and the handset will be powered by a Qualcomm Snapdragon 855 processor or a Samsung Exynos processor. The device will also come with 8GB of RAM and 256GB of included storage, it will come with high end cameras on the front and back. These will include 10 megapixel front facing camera and three rear cameras. The three rear cameras will be made up of one 16 megapixel camera and two 12 megapixel cameras. The handset is also coming to the UK and Europe although we do not know exactly when this will be, as soon as we get more details we will let you guys know.